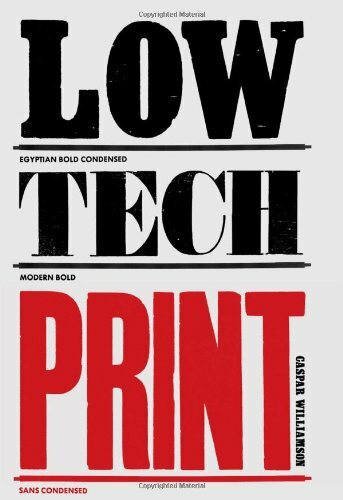 Low-Tech Print is a wonderful visual resource for those interested in personal hand-made printmaking. The book is split into 4 chapters that cover screenprinting, letterpress, relief printing and other methods. What's great is at the start of each chapter there's a step by step look at the printing process complete with many photos. That really provides a clearer idea of the printing process. The highlight of this 224-page book are beautiful printed works from 100 companies and creatives. Each creator has a profile and several pieces of work featured. There are lots to see and admire. There's a myriad of styles to check out. If you like this book, you can also check out Paper and Ink Workshop for more examples.